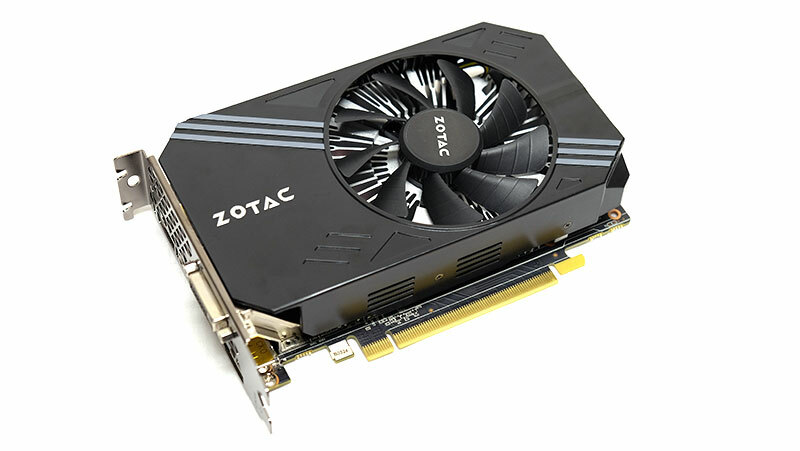 In an all-out brawl involving so many cards from various brands, the Zotac GeForce GTX 1060 Mini certainly stands out from the fray. That’s not because of especially strong performance or some must-have feature, but rather its compact, single-fan form factor. This capitalizes quite effectively on the GeForce GTX 1060’s appeal to its presumed target audience – mainstream consumers who aren’t likely to go for hulking desktop builds. But before we go on, we'd like to point out that Zotac also has a regular-sized GeForce GTX 1060 AMP! Edition card, which costs only S$30 more than the S$399 Mini model. This card measures 210mm in length and is slightly faster than its smaller counterpart, with a base clock of 1,556MHz and boost clock of 1,771MHz. Naturally, you'll also get a more robust dual-fan cooler. The AMP! Edition model might appear to align more closely with the other cards reviewed here today, but we've chosen to throw the GeForce GTX 1060 Mini into the ring instead because of the small price differential between the two. 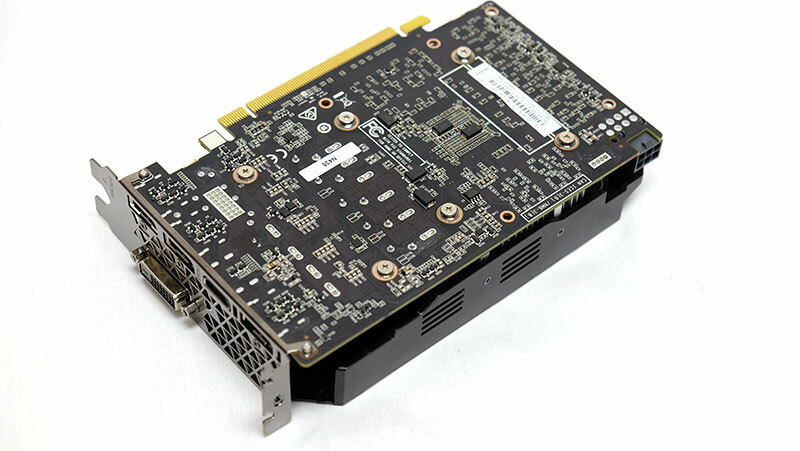 The Mini card makes for a far more interesting proposition because of its niche ability to appeal to small system builders, and serves as quite a compelling alternative to the larger GeForce GTX 1060s. The Mini measures just 174mm long, which means it’ll fit into even the most compact mini-ITX cases. And given how much power the GeForce GTX 1060 packs – it’s capable of running just about any game at 1080p with most details maxed out – you’ll be able to build quite a powerful small form factor PC. 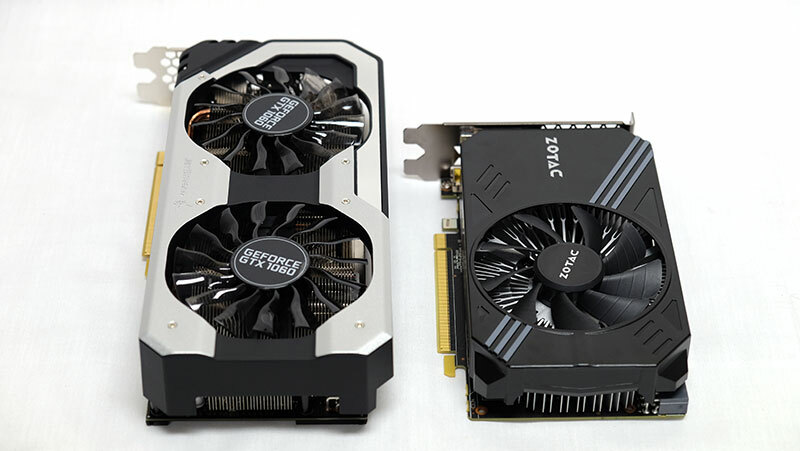 The PCB of the GeForce GTX 1060 is actually quite short, and Zotac has simply built the cooler around the PCB’s dimensions (in comparison, the longer reference card was made bulkier by its blower-style cooler). That said, its diminutive design and single-fan cooler does come with certain trade-offs. For instance, you won’t get to enjoy any aggressive factory overclocks here, and the card features the same 1,506MHz base clock and 1,708MHz boost clock as the Founders Edition model. Higher overclocks require more robust cooling solutions, and it probably wouldn’t be wise to attempt too high a factory overclock. The cooler itself has just one 90mm fan that helps dissipate heat from what Zotac refers as a “sunflower” aluminum heatsink, so named because of its unique radial pattern. There are no heatpipes involved here, and the heatsink makes direct contact with the GPU and is designed to evenly distribute heat from the center to the outer edges. This is a decidedly no-frills card, a fact reflected in its price. At S$399, this is quite literally the cheapest GeForce GTX 1060 available locally now. This also means there aren’t any superfluous LED lights or features that might drive up the price, Zotac having gone for a decidedly no-nonsense, utilitarian approach. It’s no surprise that a metal backplate is missing as well. A card this size requires little additional structural support, and the backplate would have just ended up as an unnecessary expense. 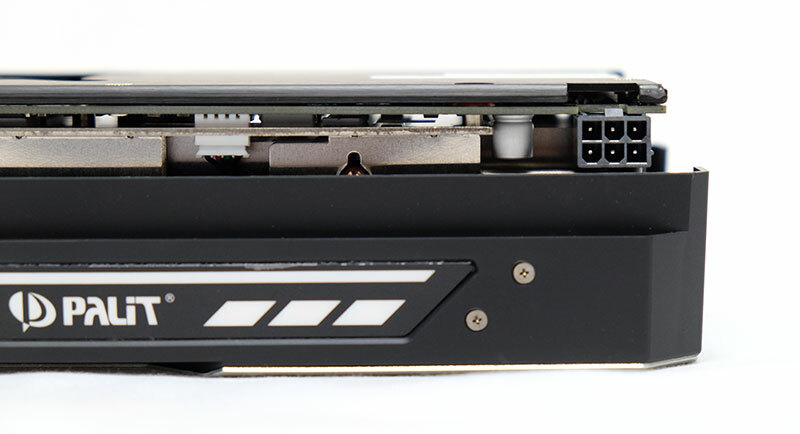 You don’t buy a mini-ITX card and expect it to be an overclocking monster either, which is probably why Zotac has opted to stick to the standard 6-pin PCIe connector. In comparison, ASUS, MSI, and Gigabyte all replaced the 6-pin connector with an 8-pin one to raise the power draw ceiling. Round the back, you’ll find the standard selection of connectors, including three DisplayPort connectors, one HDMI port, and one DVI output. 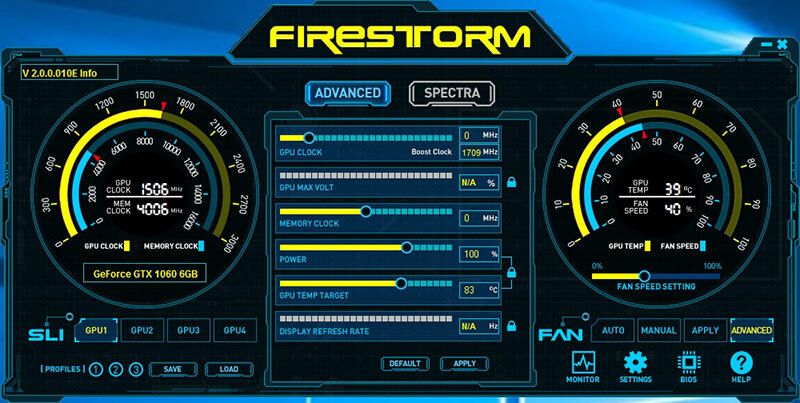 Zotac’s own FireStorm utility was also recently overhauled in line with the launch of the new NVIDIA Pascal cards. The new interface is quite intuitive and user-friendly, with tools for monitoring and tweaking GPU and memory overclocks. The color palate is a little jarring, but you’ll be able to find everything you need pretty easily.